The damage that Hurricane Harvey is doing to the greater Houston area raises haunting memories of the devastation that New Orleans faced in the wake of Hurricane Katrina. Once the waters have receded, the time to rebuild will begin. National, state, and local leaders will soon be arguing about how much should be allocated, but more importantly, they will have to decide what a successful recovery looks like. 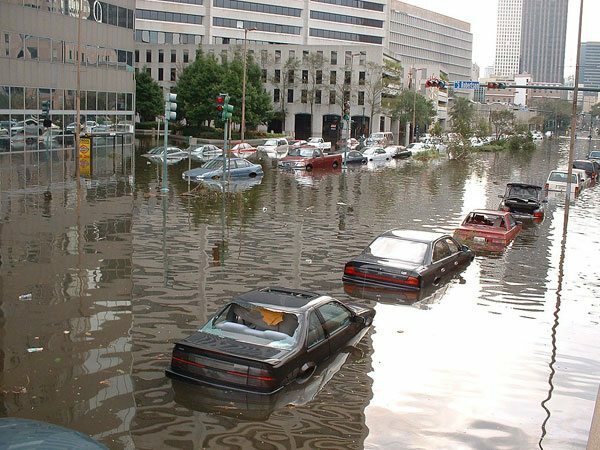 More than a decade post-Katrina, New Orleans’ experience provides some important lessons and warnings. For some, the path forward is to return the city to where it was before the waters rose. Normalcy is their goal: Repair what has been broken, restore what has been lost, ease the pain of those who are suffering, and do what can be done to prevent another catastrophic flood in the future. But for others, a catastrophe is an opportunity. In Capitalism and Freedom, Milton Friedman wrote, “Only a crisis—actual or perceived—produces real change. When that crisis occurs, the actions that are taken depend on the ideas that are lying around. That, I believe, is our basic function: to develop alternatives to existing policies, to keep them alive and available until the politically impossible becomes politically inevitable.” Author Naomi Klein, calling this the “Shock Doctrine,” saw it as the guiding principle behind the effort to rebuild New Orleans. Mike Ludwig, writing for Truthout, describes the beginning of another school year in New Orleans a decade after Katrina created total havoc and the rebuilders seized the moment to apply Shock Doctrine solutions. To accomplish such radical change, local control was eliminated, and those who seized power had a clear school reform strategy in mind. After the storm devastated the city, the state took over the school board and began an unprecedented experiment in school privatization, dismantling the teachers’ union and firing 7,000 school employees…a state board elected by Louisiana’s white majority took over the New Orleans school system from the local board elected by the city’s Black majority. In the decade since, schools have closed, consolidated and been handed over to private companies and nonprofits. Now, 92 percent of New Orleans students are enrolled in schools run by charter boards, more than any other urban district in the country. A pair of studies by the Educational Research Alliance show that the strategy Katrina’s damage made possible was successful at improving school performance—if you measure outcomes solely by test results—but left untouched a highly segregated school system. Those guiding the rebuilding of New Orleans also saw it as moment to address the nagging problems of urban blight, poverty, unemployment, and crime. Fueled by billions of dollars in government and philanthropic recovery funding, New Orleans sought to reshape itself as a modern, urban city that could attract millennial professionals as key community revitalizers. Improving the condition of the city’s resident poor, underemployed population was not the central goal for those driving the recovery process forward. As with school reform, local control and focus were sacrificed to a grand vision of a new New Orleans. And, as with school reform, a wide racial divide was ignored as well. Nathan Rothstein, one of those millennials who came to New Orleans attracted by the allure of rebuilding a city, recently told CityLab about his experience as a modern-day carpetbagger. It was such a fascinating time, to think about how you rebuild an American city, but there was some animosity for tourist people like me telling them that these are the solutions on how to fix the city. I was perceived as bringing young white people to the city taking jobs from New Orleans people and black people. And honestly, I understand that resentment, I get it. But our goal was mainly to open up the job networks throughout the city. These people aren’t being offered any new jobs, they have the same job possibilities as before, same wages as before, but are still having to deal with the rising costs of living. For a while, New Orleans was a place where you could find a one-bedroom apartment for $550. That [increase in rents] didn’t come because of native New Orleanians, who’ve been here for 25 to 35 years. But they’re the ones who can’t just pick up and leave—but they can barely afford to stick around.